Buckets is completely free for everyone to use! Buckets is a simple & intuitive task organization, cloud-based app that allows professionals & non-professionals alike to collaborate. 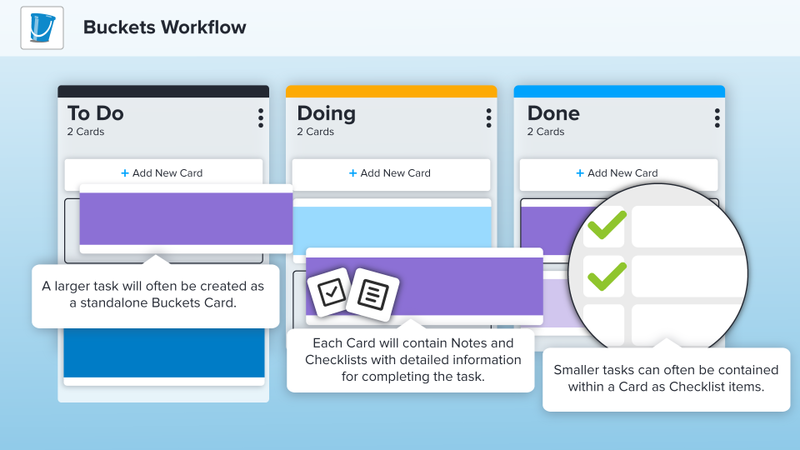 Buckets Kanban-inspired Projects use an elegant, feature-rich, and adaptable system to organize tasks and allow your team to engage directly with each other. Use a To Do > Doing > Done waterfall approach that anyone can learn in seconds, or create your own custom buckets and give purpose to each for whatever your project demands.